New York is perfect for exploring with little adventurers and there are lots of fun things to do in NYC with toddlers. With its towering skyscrapers, neon lights, green spaces and chaotic streets, the city is sure to capture the imagination of young and old alike. 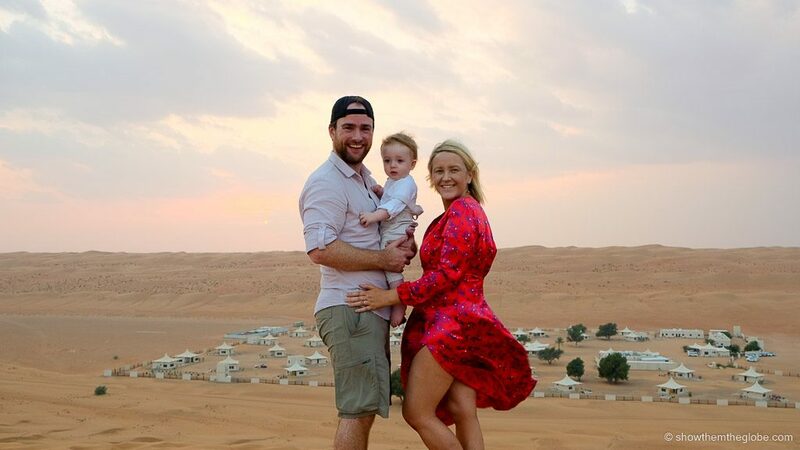 We’ve visited New York with J many times and love our family time in the city where dreams are made of! This is our guide to the 15 best things to do in NYC with toddlers. Enjoy! 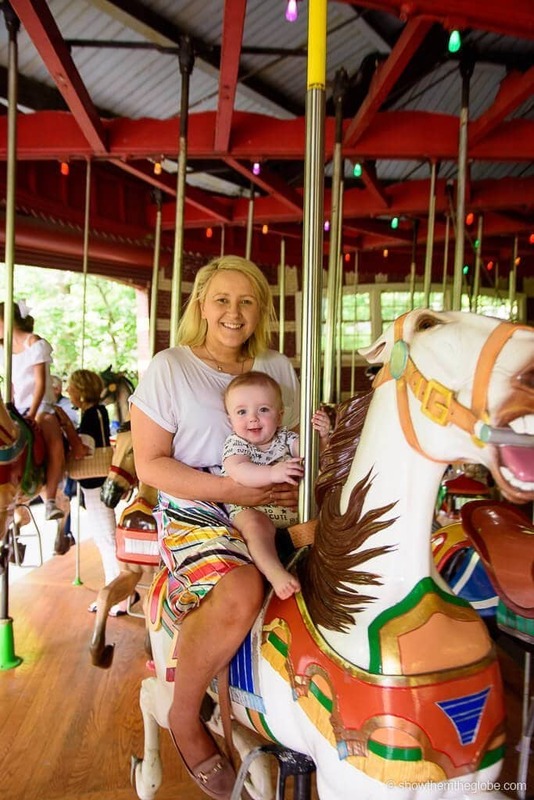 From strolling the bright lights of Times square to picnics in Central Park and carousel rides in Bryant Park there are endless things to do in NYC with toddlers. Central Park, the largest green space in Manhattan, is a toddler dream and little adventurers will be spoiled for choice deciding what to do next. 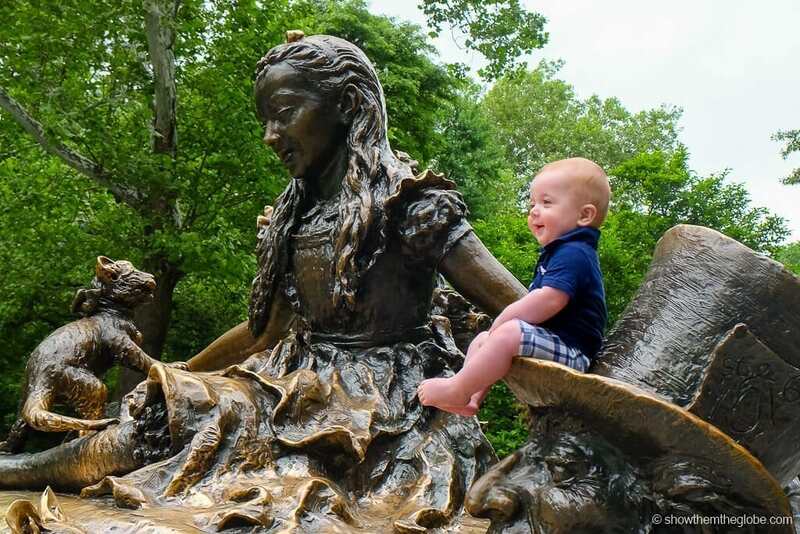 Our favorites include clambering over the Alice in Wonderland tea party statue, attending summer storytelling sessions by the Conservatory Water, taking to the water on rowboats at the Loeb Boathouse and riding the vintage horses on the Central Park Carousel. 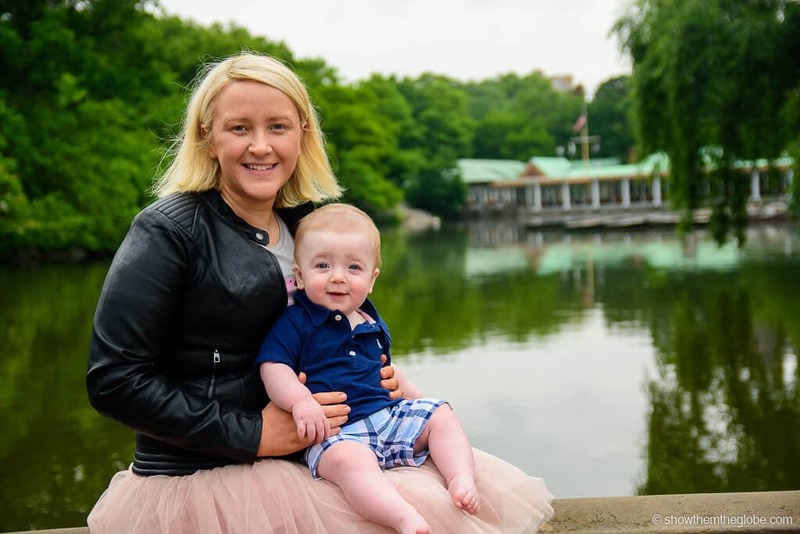 Best things to do in NYC with toddlers tip: check out our guide on the best things to do in Central Park with kids for more Central Park inspiration! A stroll on the High Line is one of our favourite things to do in New York with toddlers and it is the perfect escape from the hectic pace of the Manhattan streets below. Originally a train line, the High Line is an elevated public park and walkway meandering up the West side of Manhattan. 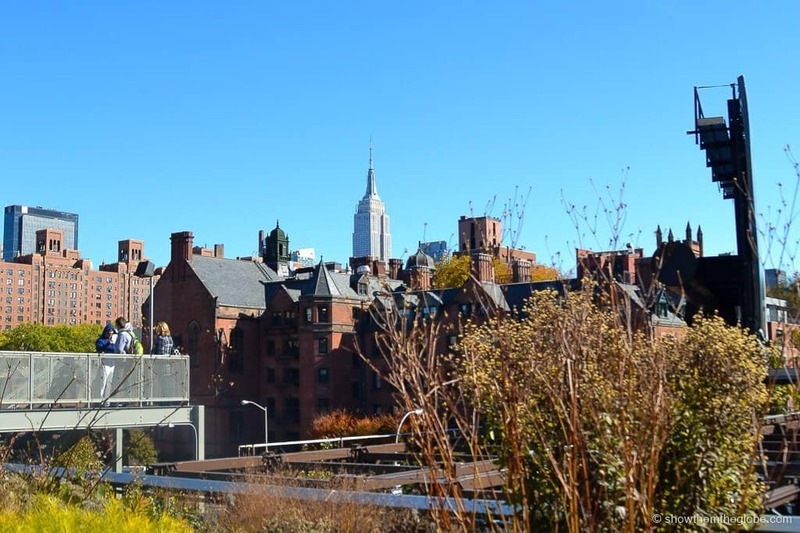 Some of the best views of the New York skyline can be seen from along the walkway: our favourite view of the Empire State Building is from the High Line as it peeks out above the downtown rooftops. It’s the perfect spot to indulge in some people watching, indulge in coffee and ice cream and admire the quirky street art and sculptures along the route. Toddlers will also love the industrial themed playgrounds on the Highline route. The Highline wraps around one of the latest additions to New York’s landmarks, the Vessel, a 16 story gold honeycomb structure. Best things to do in NYC with toddlers tip: The Highline runs from Gansevoort Street in the Meatpacking district to West 34th Street between 10th and 12th Avenue and there are points of entry along the route. 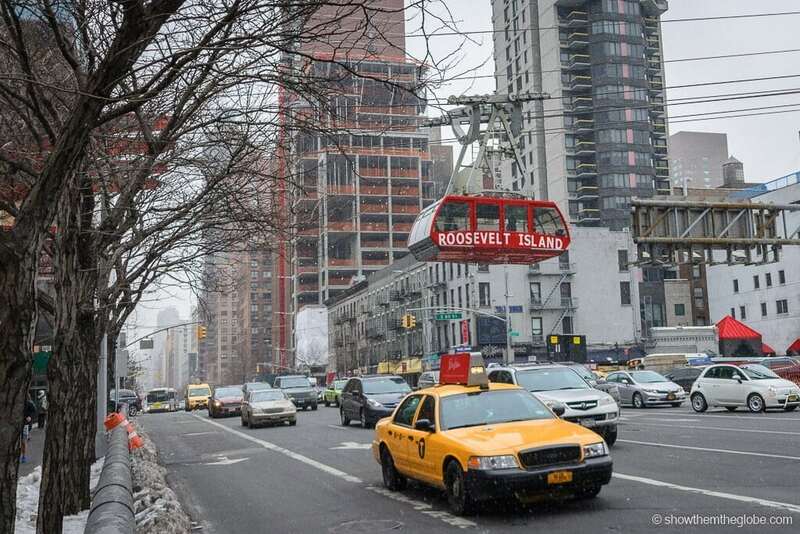 There are elevators at Gansevoort Street, 14th Street, 16th Street and 30th Street as well as a ramp at 34th Street. The Highline is open from 7am to 10pm every day and entry is free. The Staten Island Ferry travels between downtown Manhattan and Staten Island and is one of the best things to do in NYC with toddlers. The 25 minute ferry ride offers incredible views of Lower Manhattan, the downtown Manhattan skyline and the Statue of Liberty. Best of all, it’s free to ride the ferry and the 25 minute journey is just the right amount of time to hold a toddler’s attention! 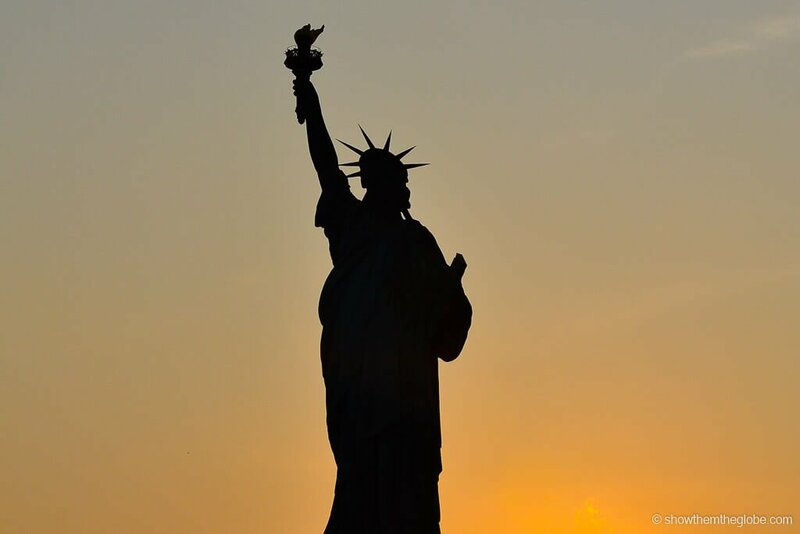 For the best views of the Statue of Liberty make sure to stand on the right side of the deck when travelling to Staten Island and on the left side when travelling back to Manhattan. Best things to do in NYC with toddlers tip: passengers have to disembark the Staten Island Ferry even if they want to make a return journey immediately. 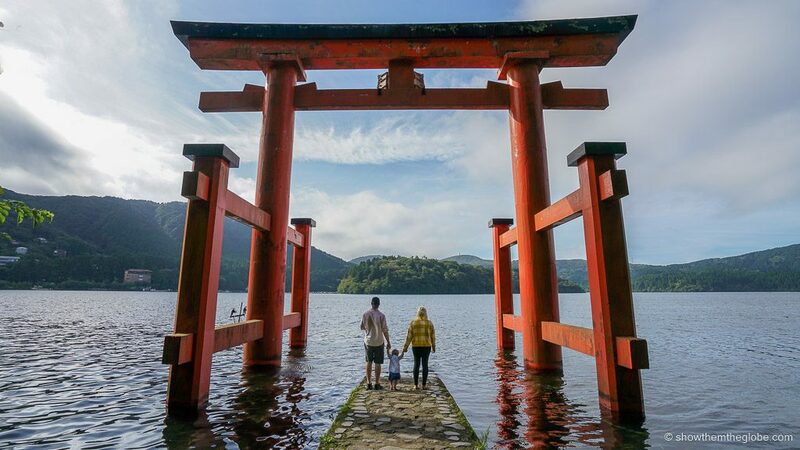 Try to avoid travelling at peak times and weekend to avoid having to queue to board the ferry. There’s an abundance of amazing playgrounds in New York so we’ve tried to narrow down some of our favorites! Designed by child development experts, Teardrop Park in Battery Park City is one of the best toddler playgrounds in NYC. It’s an amazing spot to burn off some energy and the highlights of the park include a giant slide, water jets and a sand pit. The Imagination Playground in the Financial District is another great option and the loose blocks and tools mean children can create their own fun among the sand and water features. Central Park has 21 playgrounds dotted at various locations throughout the park with the Billy Johnson playground at 67th and 5th and the Tarr-Coyne Tots Playground on the West Side at 68th Street both excellent options for younger kids. The Chelsea Waterside Park has an amazing pipe fish themed slide together with fun water features and sand pits. For incredible views of Manhattan ride the elevator to the 102nd floor of One World Trade Centre to experience the One World Observatory. The views are endless and it’s fun to spot the NYC classics including the Empire State Building, the Rockefeller, the Statue of Liberty and the Hudson River. All 5 boroughs are visible from the One World Observatory and it is incredible to stand in what feels like the clouds and take it all in. 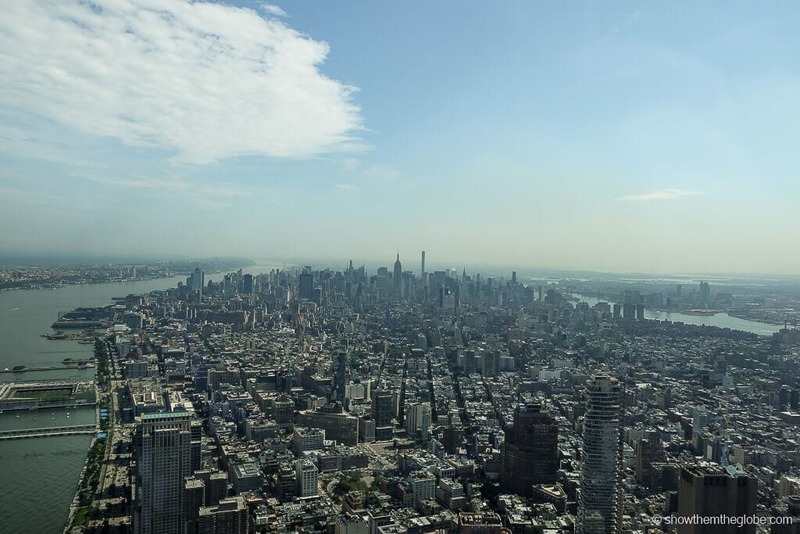 From the elevator ride, to the interactive displays and the endless views, One World Observatory is entertaining for all ages. Best things to do in NYC with toddlers tip: tickets for kids under 5 are free of charge at the One World Observatory. Under 5s are still required to hold a ticket so make sure to reserve the free Under 5 ticket when you are booking your own. Strollers must be foldable and visitors with a stroller are requested to collapse at busy points on the visit e.g. in the elevators. It might be easier to leave the stroller at home/in your hotel if you have the option. 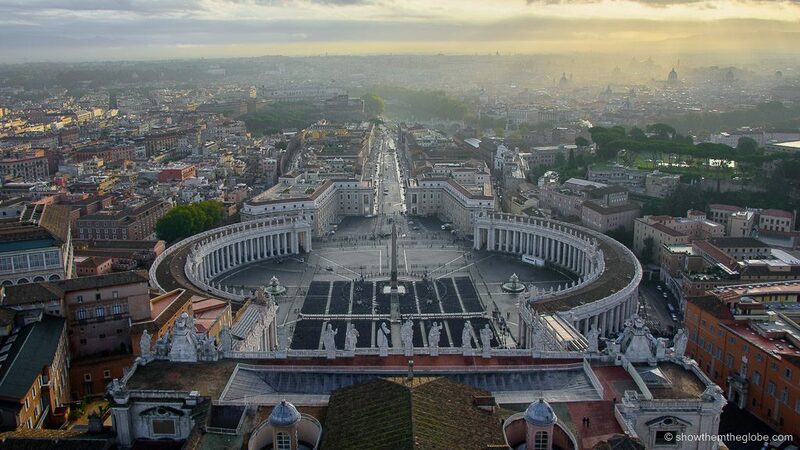 We recommend visiting at quieter times to avoid the worst of the queues for entry, security, elevators etc. 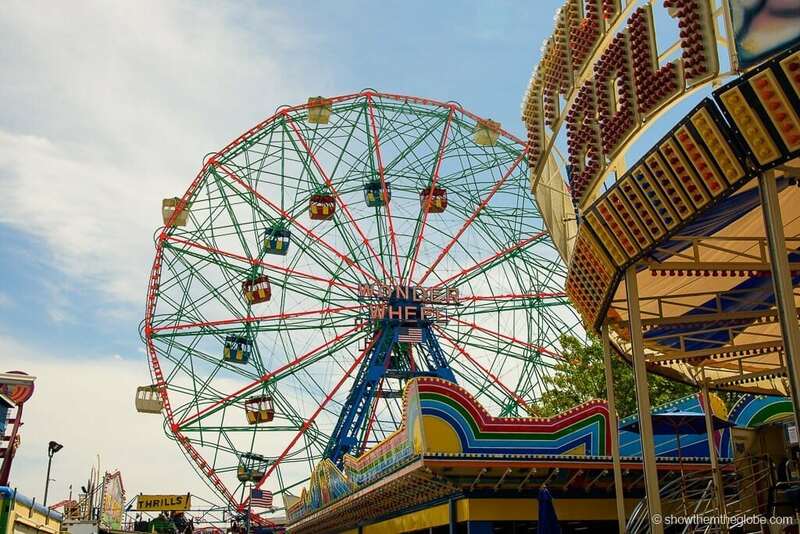 Colourful, vibrant and fun, Coney Island is a Brooklyn gem with its beach, boardwalk, arcades, aquarium and amusement parks. Toddlers will love playing on the sandy beach, dipping their toes in the Atlantic Ocean and exploring the beach playgrounds. Other highlights include the legendary Nathan’s Famous Hot Dogs, the kitsch souvenir shops and the Dona Zita Mexican stall on Bowery where we ate the best tacos we’ve had in NYC! The carnival atmosphere is contagious and there is a feeling of days gone by. An afternoon at Coney Island feels like taking a beach holiday from Manhattan and is definitely a highlight of things to do in New York with toddlers. The 4 minute tram ride departs from 59th and 2nd in Manhattan and offers beautiful views of Manhattan and the East River together. The novelty of a cable car ride will seal the deal for toddlers and it only cost $4 for a round trip! 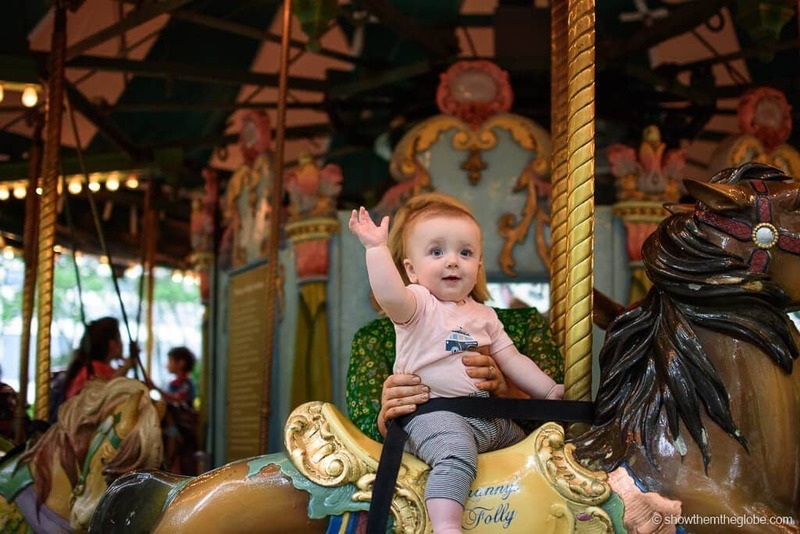 Best things to do in NYC with toddlers tip: if you want to spend some time exploring Roosevelt Island the Saturday morning Farmer’s Market is lovely to wander through and the collection of neighborhood food trucks are mouth watering. The colorful Manhattan Park Pool Club is a summer highlight of Roosevelt Island and day passes are available. 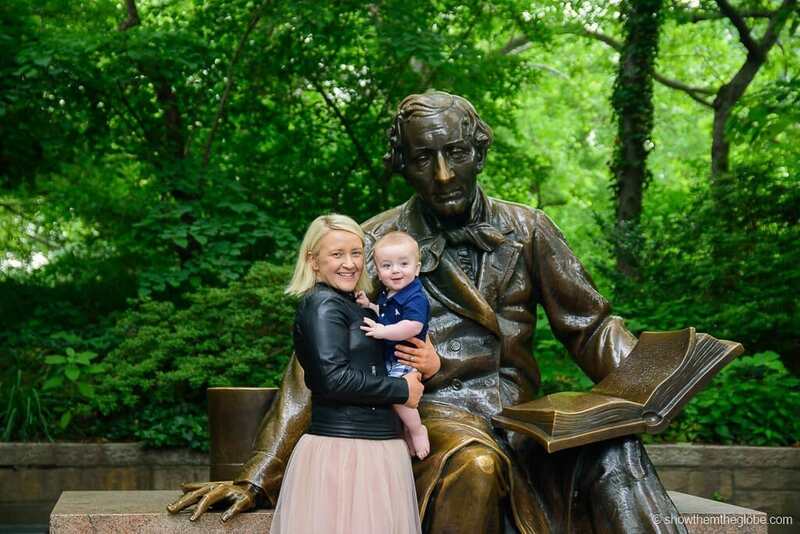 Washington Square Park is the perfect grown up hang out for toddlers! The park is a hive of activity and is usually teeming with artists, musicians, sunbathers, performers, chess players and cute dogs! The dancing fountain is an added bonus in one of the most vibrant spots in the city. We watched the adorable NYC dogs on their afternoon walks, enjoyed some classical singing, listened to Colin Huggins on his grand piano and giggled at getting soaked in the spray from the fountain! 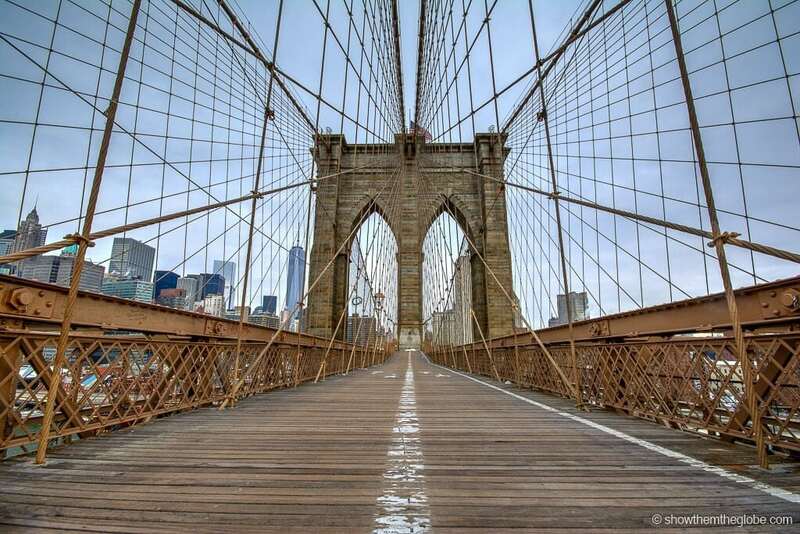 Walking or cycling across the iconic Brooklyn Bridge is one of our favorite things to do in New York with toddlers. The iconic bridge links Brooklyn and Manhattan and the views are incredible as you make your way towards Manhattan. With runners, walkers, commuters and cyclists all sharing the bridge it’s a hive of activity and noise. For night owl toddlers, sunset is the perfect time to cross just when the lights of the city begin to twinkle as darkness falls. Surrounded by giant skyscrapers, Bryant Park is the perfect contrast of city and park life. The park is usually action packed with intense chess games, open air movies, exercise boot camps and even juggling classes! The park is also home to Le Carousel, Bryant Park’s resident carousel which revolves to French classical music! 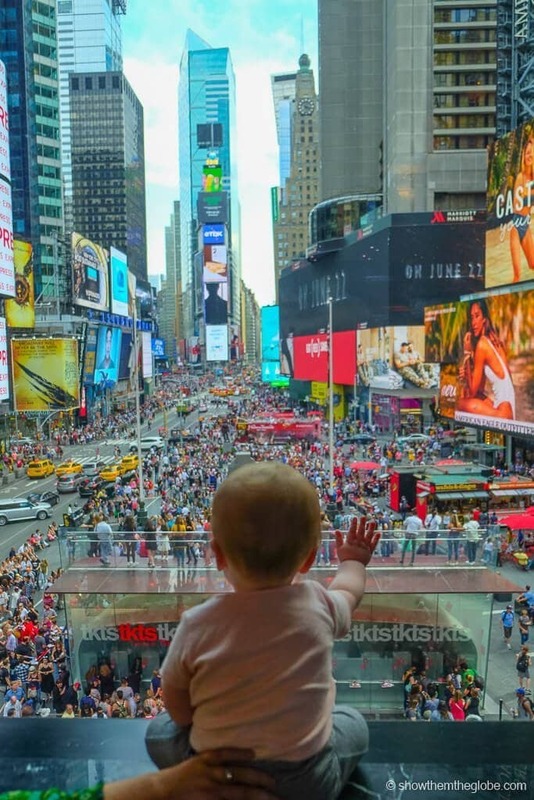 Synonymous with New York City, Times Square’s captivating mix of neon lights, giant billboards and chaotic crowds will mesmerize toddlers in NYC. Our favourite vantage point is high above the crowds in one of the many restaurants and bars with a bird’s eye view of Times Square. 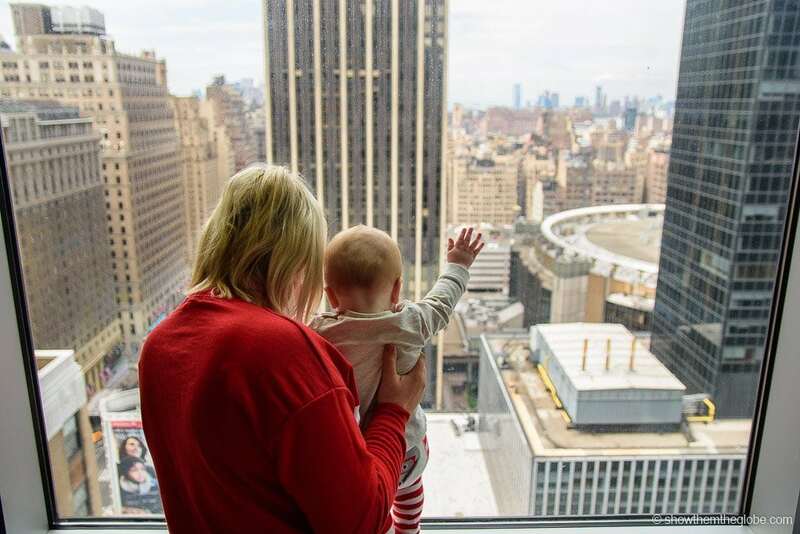 Best things to do in NYC with toddlers tip: We love the view from the R Lounge in the Renaissance Hotel with its incredible views of the bright lights and yellow cabs the city is so famous for! It’s the perfect spot for a cocktail and toddler date! Another gem if your toddler still enjoys stroller time: the Guggenheim, the Whitney and the Brooklyn Museum all offer stroller tours led by museum experts. We joined one at the Guggenheim and loved how interactive, baby friendly and relaxed the tour was while the adults enjoyed the knowledge shared by the museum educator leading the tour. 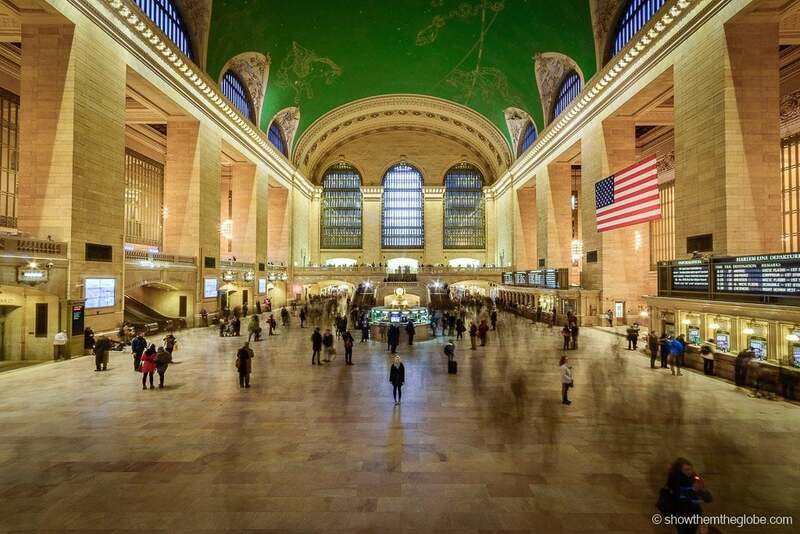 Over 750,000 passengers pass through Grand Central every day. Instantly recognizable from the many movie scenes it has featured in, the stunning architecture makes Grand Central an iconic New York landmark. As well as the crowds, the trains and the architecture, our two highlights are the fantastic zodiac mural on the ceiling of the main concourse and the station’s Whispering Gallery. For some NYC magic, stand in diagonally opposite corners of the concourse and whisper into the wall: whatever you say will travel across the hallway to your companion! Apparently it’s due to the sound waves clinging to the walls and travelling across the concourse. If your toddler is similar to ours then all forms of transportation will bring wide eyed awe and excitement and luckily NYC is a mecca for experiencing a variety of transport options! The subway is the fastest and most fun way to get around the city and, with the never-ending music, dancing and interesting characters to be found in both the stations and on the trains, there is never dull moment on the NYC subway. 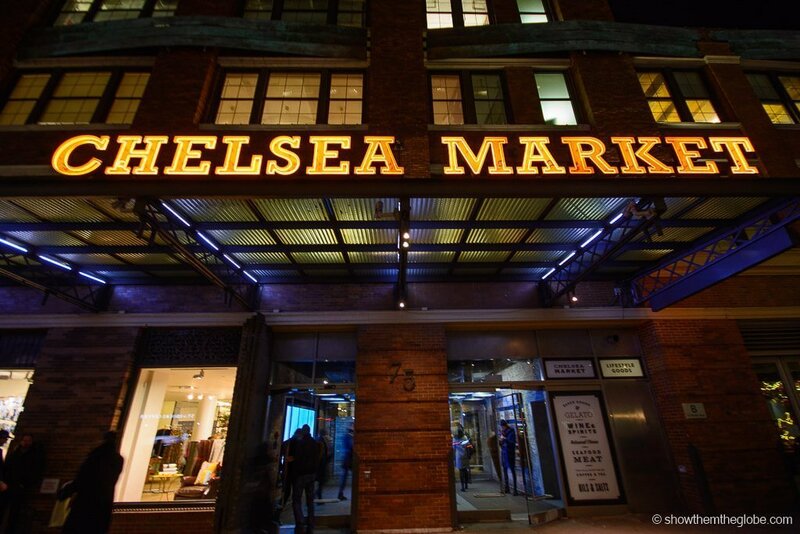 Chelsea Market is crammed full of delicious eateries and unique stores and is a great place to while away a rainy afternoon with toddlers in NYC. Our favorite spot is Posman Books, an independent boutique bookstore with a great children’s corner, indulging in ice creams at L’Arte del Gelato and browsing through the stalls at Artists and Fleas, a marketplace with over 100 vendors selling an awesome mix of vintage and quirky wares. Best things to do in NYC with toddlers tip: the Chelsea Market building was originally a major factory of the National Biscuit Company and it was here that the Oreo cookie was born! If your toddler is still happy to sit back and relax in a stroller, the ever-changing city streets are perfect for exploring. From green spaces to bright lights to music, art and crowds there is rarely a dull moment on the sidewalks of New York City and we find ourselves frequently stumbling across hidden gems. 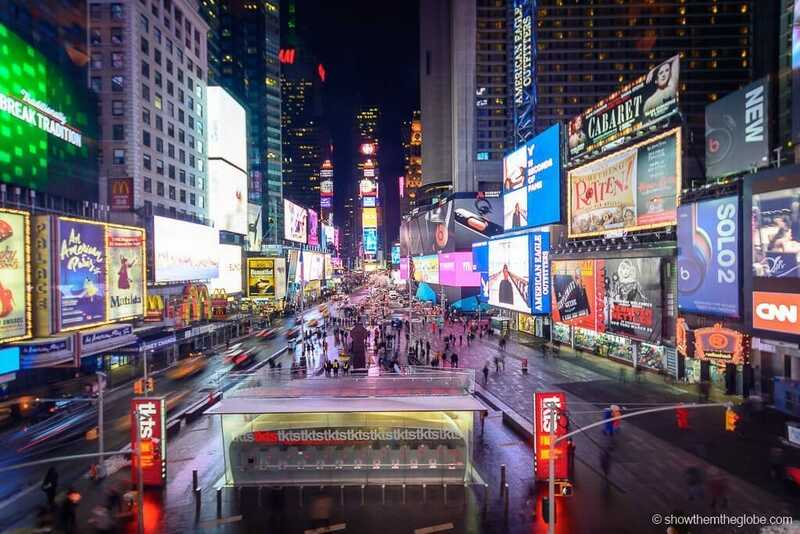 We’ve walked countless miles in the city that never sleeps! 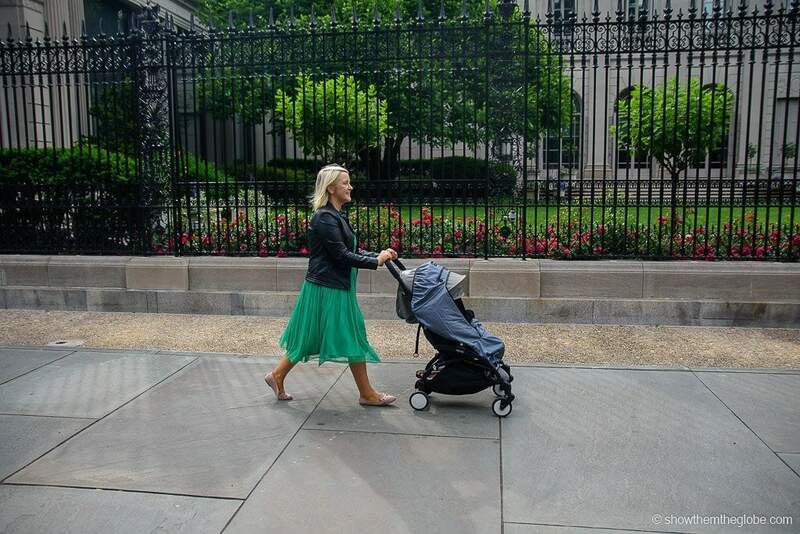 Best things to do in NYC with toddlers tip: the New York sidewalks are stroller friendly. 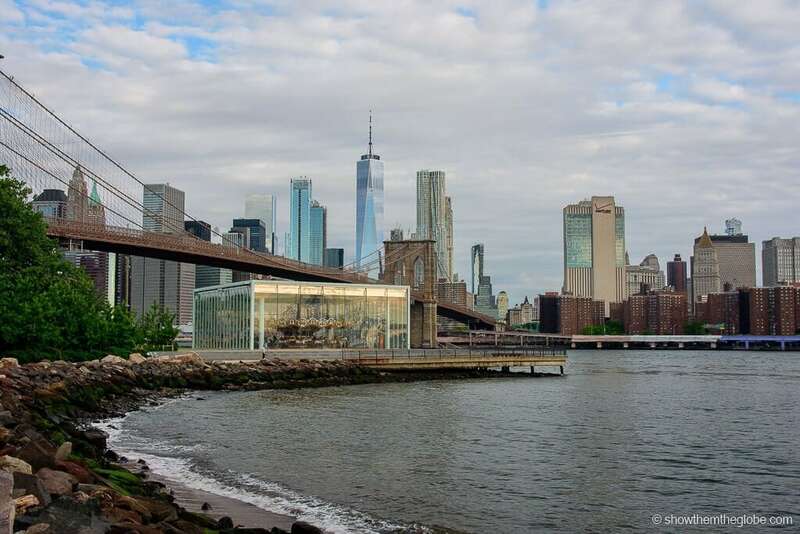 Our favorite walks include exploring the street art in Soho and the Lower East Side, the river views and open space alongside the West Side Highway, Central Park and the High Line. Down Under the Manhattan Bridge Overpass, or DUMBO for short, is another great spot for a toddler-friendly visit to New York. The first stop is on Water and Washington Street Washington Street aligns perfectly to give a beautiful view of the Washington Bridge with the Manhattan skyline in the background and the Empire State Building framed perfectly by the legs of the bridge. The nearby Brooklyn Bridge Park is perfect for a picnic and the beautiful restored Jane’s Carousel is another treat. We also love grabbing some ice creams at the Brooklyn Ice Cream Factory and watching the boats passing by. Located close to Times Square, Gulliver’s Gate is an interactive museum of miniatures featuring over 300 scenes from 25 countries and 5 continents together with the world’s largest miniature airport! Toddlers will especially love burning off steam in the ball pit and watching all the action as planes arrive and depart from the miniature airport. A city with a skyline as beautiful as New York’s is best viewed from a height. 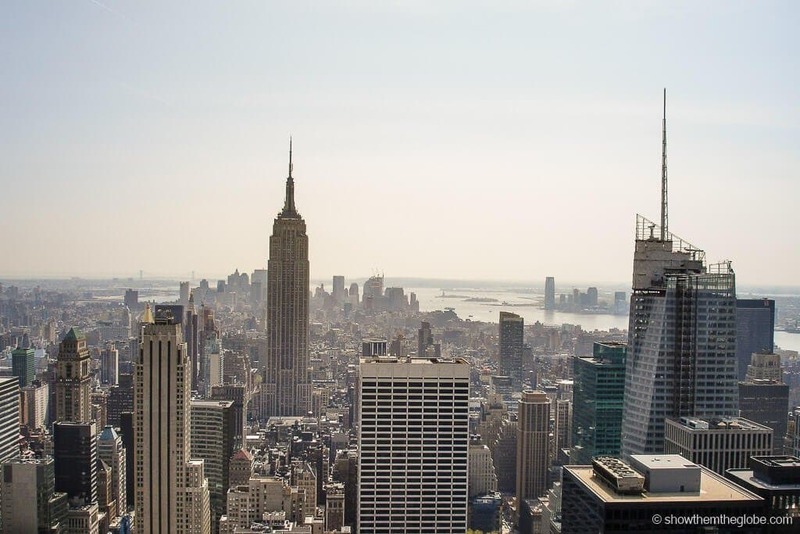 The Top of the Rock at the Rockefeller has incredible views of midtown and Central Park. The 67th floor viewing platform is surrounded by glass panels and the views from the top are simply breathtaking both north to Central Park and south along the Manhattan skyline. 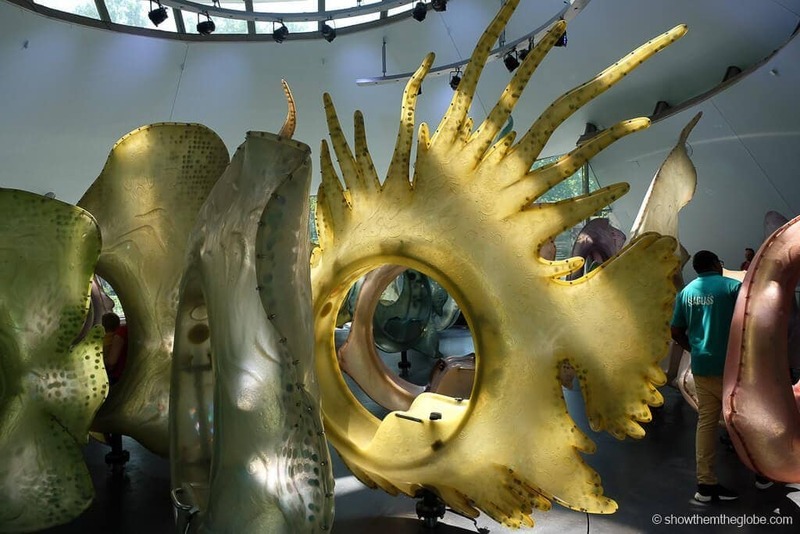 Best known as the departure point for the Statue of Liberty and Ellis Island ferry, Battery Park is also home to the awesome SeaGlass Carousel. Riders sit in giant fish illuminated in neon lights on this aquarium themed carousel, one of our favorite among the NYC carousels! Battery Park also boasts breathtaking views of the Statue of Liberty and Brooklyn.